ABOVE: A baby emperor tamarin, one of the most gregarious and playful primate species. 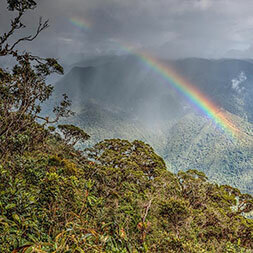 The Andean Corridor project in Ecuador and Peru will span over 200 miles protecting the vital ecosystems of the Andes Mountains, including rich cloud forests and páramos that are home to endangered species such as the spectacled bear and mountain tapir. The Andes’ eastern slope is considered the world’s number one biodiversity hotspot due to its species richness and diversity. Its ecosystems regulate the natural cycles that produce and renew the planet’s air, water, and climate. So far, Nature & Culture has successfully worked with local governments and communities in The Corridor to establish 1 million acres of reserves. Based on our past effectiveness, additional municipal governments and local communities have asked to partner in the hope of expanding land and watershed protection throughout the Andean Corridor. With financial support, this project could protect 1.2 million additional acres of key ecosystems and diverse habitat by the end of 2019. A new species of hummingbird, the blue-throated hillstar (Oreotrochilus cyanolaemus), has been discovered in the southwestern Andes of Ecuador; However, its small range, specialized habitat, and threats from human activity mean the newly described species is already critically endangered. Nature & Culture is working with the National Water Secretariat (SENAGUA) to establish one of Ecuador’s first Water Protection Areas. This will give the ecosystem one of the highest legal forms of protection in the country. 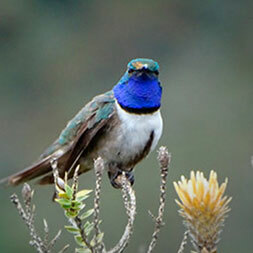 The proposed area — spanning 175,000 acres in Cerro de Arcos — will protect the blue-throated hillstar’s entire habitat. It will also protect critical páramo and cloud forest ecosystems, wetlands, and preserve portions of the Inca trail, used by the Inca empire to connect Cuzco with its northern capital, Quito. In 2017, Nature & Culture supported local governments and indigenous communities in declaring Pastaza Province’s Ecological Area of Sustainable Development in the center of Ecuador’s Amazon. The reserve encompasses 6.3 million acres and is considered by scientists to be one of the most biodiverse areas on Earth. We have led efforts to create an inter-governmental management consortium that was recently approved by the national government. Now we’re supporting local communities and seven indigenous nationalities to sustainably manage this enormous reserve. 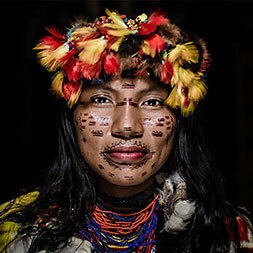 For centuries, the indigenous Shawi nation has lived in Peru’s Paranapura basin. 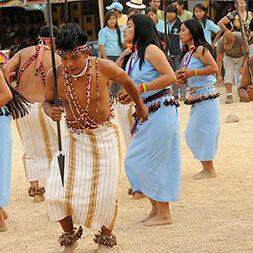 Today, Nature & Culture is helping them obtain official recognition for their ancestral homeland as a protected area. This area is a high priority for biodiversity and an important watershed for the inhabitants of the Mayo and Paranapura river basins. Its lush forests and jagged mountains hold countless undiscovered species that could yield new medical and agricultural products. However, in recent years, new colonization of the area and, in particular, the threat of a new highway, has brought illegal logging and oil exploration. Without immediate action, the biodiversity of the region and the cultural traditions of the Shawi people face ruin. We are helping them create the Pueblo Shawi Regional Conservation Area through a Supreme National Decree, enabling the Shawi people to legally defend their land. Southern Bolivia is home to a rich mix of ecosystems, from the lush, species-rich foothills of the Andes to the expansive plains of the Cháco dry forest. We’re working with the Guaraní indigenous people to establish Ñembu Guasu Reserve in the endangered Chaco dry forest. Ñembu Guasu is known for its incredible wildlife, such as armadillos, giant anteaters, jaguars, howler monkeys, peccaries, and tapirs. The reserve will protect cultural and biological diversity in an area rapidly losing its forest, including an uncontacted tribe related to the Guaraní people. It will also connect to two larger reserves in the area, creating a 13.5-million-acre conservation corridor. 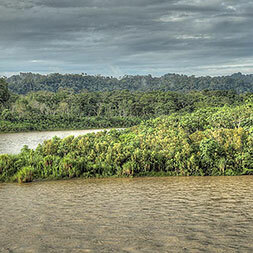 The Chocó bioregion on the Pacific coast of western Colombia is one of the most biologically rich areas on the planet. It encompasses the world’s wettest rainforests, mangroves, and estuaries with more than 40 feet of rain annually. In 2017, Nature & Culture achieved the creation of the 776,000-acre Bajo Baudo Reserve in the Chocó. 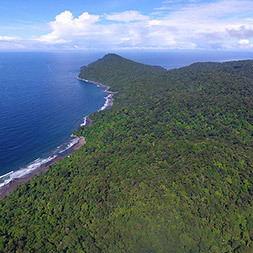 This new reserve contributes to the protection of one of the most important biodiversity corridors worldwide: the Chocó Manabí corridor, which connects South America with Central and North America. Now, we are working with local afro-Colombian and indigenous communities to create four additional reserves that will consolidate the protection of this corridor: (1) the Pacurita reserve (13,000 acres), (2) the Bosques de Caoba forest (120,000 acres), (3) the Cerro del Duende mountain (80,000 acres), and (4) The Serranía de Paraguas mountain range (400,000 acres). 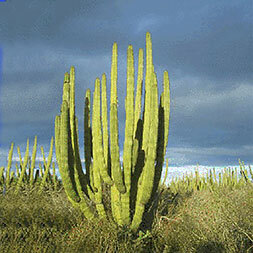 Estero de Agiabampo is an estuary off the Gulf of California surrounded by the highly endangered pitayal forest. Our first priority is working with local fishermen on sustainable practices. Additionally, we’re supporting Sonora Institute of Technology in conducting water quality studies in the estuary to help justify the need for protection. We are in our second year of work with five fishing cooperatives, and have signed conservation agreements for fishery reserves to protect 900 acres of marine areas. Zamora Chinchipe lies within the Huancabamba Depression of the Andes, a transition zone from the humid north to the drier central Andes. 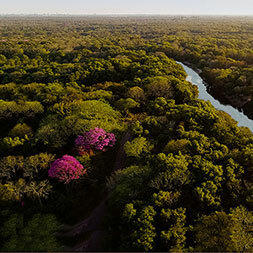 Due to the area’s geological diversity and environmental conditions, the reserve harbors an enormous variety of habitats, from high-elevation páramos to lush foothill forests. The province’s dramatic altitude changes encourage the evolution of diverse species and provide a critical escape valve for climate change — an upward migration path to cooler temperatures that will help species survive as the Earth warms. Protecting the area will safeguard water supplies from threats such as mining — Zamora Chinchipe Province currently has the highest density of mining concessions in Ecuador. The reserve will also preserve the home and ancestral culture of a significant indigenous population, principally members of the Shuar Nationality. Peru’s northern sea – home to species such as marine turtles, humpback whales, and the endangered Humboldt penguin – holds roughly 70% of the nation’s marine biodiversity, including numerous endemic species, which are species that only exist in this region. The coastal waters constitute the greatest upwelling system on the planet and support one of the world’s largest fisheries accounting for nearly 20% of global fish stocks and 60% of Peru’s seafood consumption. Despite its high levels of biodiversity, endemism, and economic significance, this ecoregion lacks legal protection and faces threats including unsustainable fishing practices, industrial pollution, and unmanaged tourism. 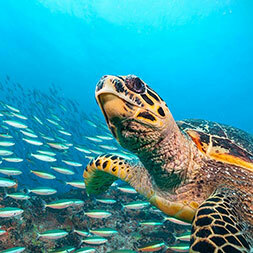 Nature & Culture has joined forces with the fishermen and local communities in an effort to establish the Grau Tropical Sea National Reserve, protecting 285,841 acres.